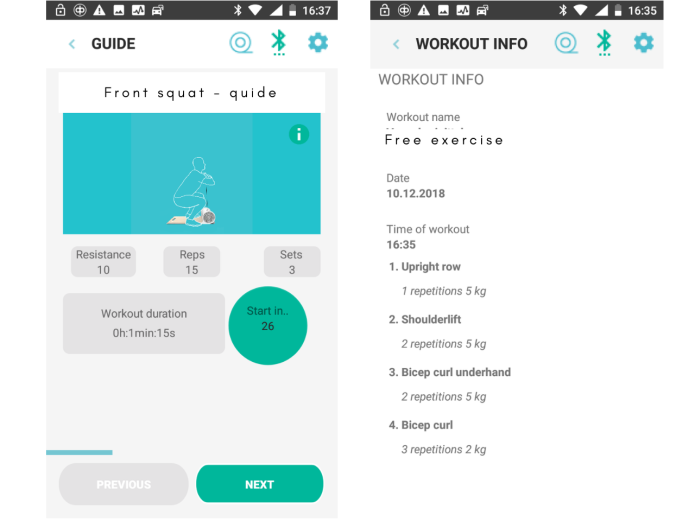 Intelligent full body gym is easy, compact, effective & motivating with virtual Personal Coach – from the comfort of your home. ! Lose weight, get fitter, maintain mass, increase elasticity, improve balance, build strength or gain more muscles? 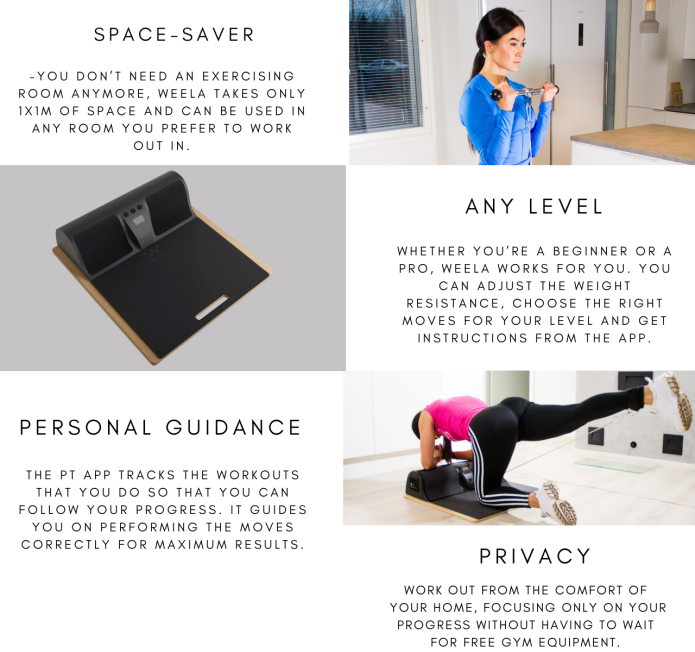 Weela is the smallest and the smartest solution for achieving your goals through challenging, effective, safe and fun workouts from the comfort of your home! WHAT IS INCLUDED IN THE SLIM WEELA PACKAGE? Three changeable handles that enable training the whole body throughly. 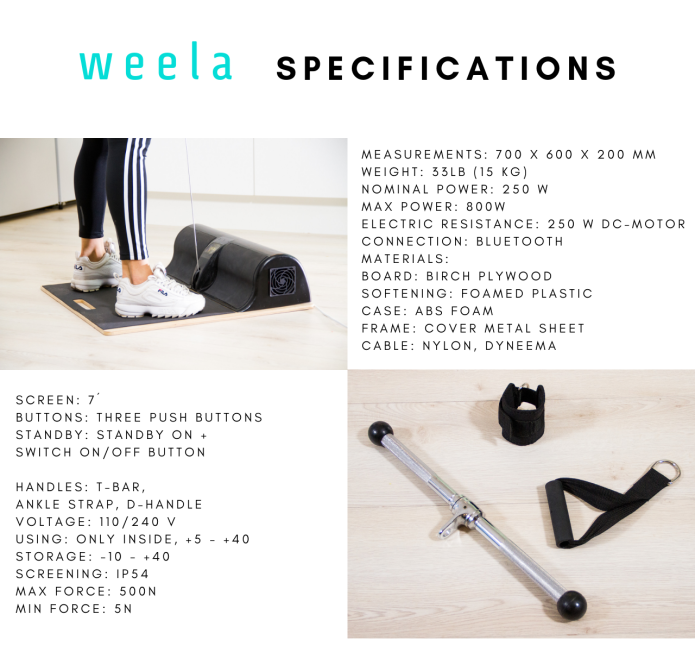 Weela device which is tiny, it needs under 1sqm space for workouts and it is easily storable and portable. It makes strength training possible in any room. The package includes also a powered cable. The Weela app can be uploaded from the App Store. The device includes a resistance control panel and it can also be used without the app. Time challenges. Busy schedules. Inconvenience. Waiting times for equipment. Long way to the gym. Sounds familiar? Those aren’t the reasons anymore for skipping workouts. 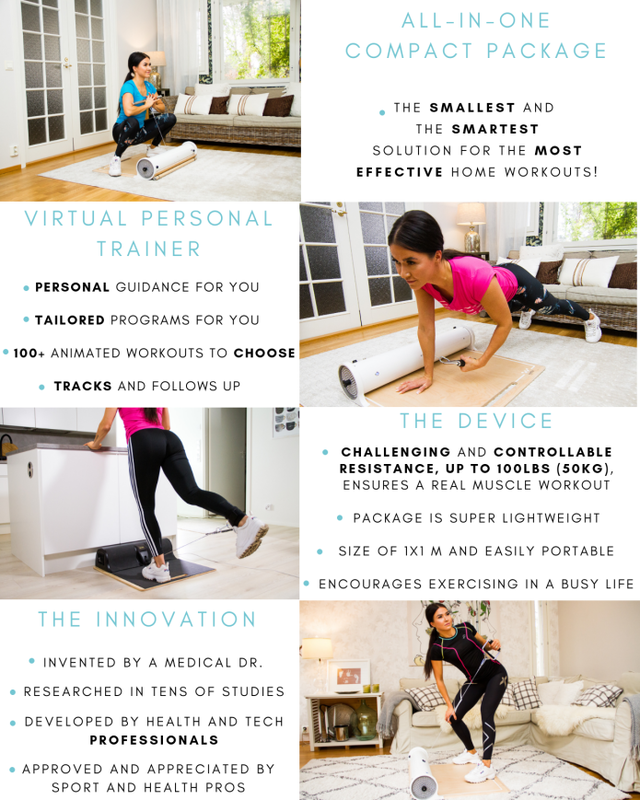 The Weela home gym removes the barriers for exercising. Weela saves you tons of time in your everyday life and saves you plenty of money! Weela improves not only strength but also balance and coordination which makes your supporting muscles and body control better. Your performance will be optimal to you and you will get results with effective resistance and the PT guidance app! Physical activity affects the mind directly, improving wellbeing and the quality of life! At Weela we embrace all types and shapes of bodies but we also think that for wellness the actions are what matters! We want to make practicing simple, effective and available for everybody. 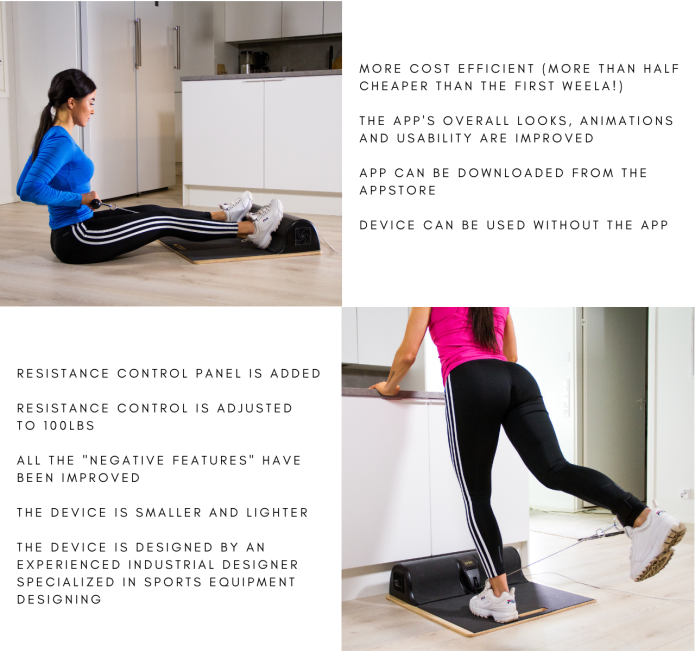 WEELA DEVICE ITSELF IS A SMALL POWERHOUSE! 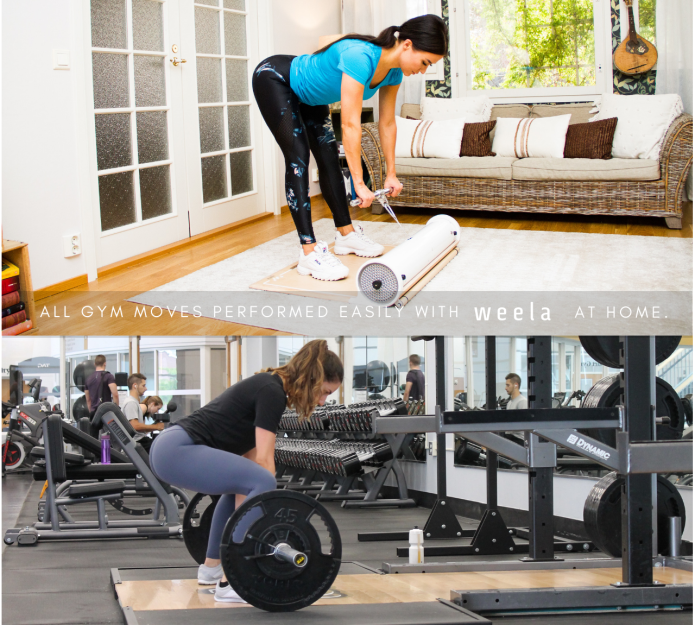 In comparison to other home gyms Weela is more versatile and more effective. 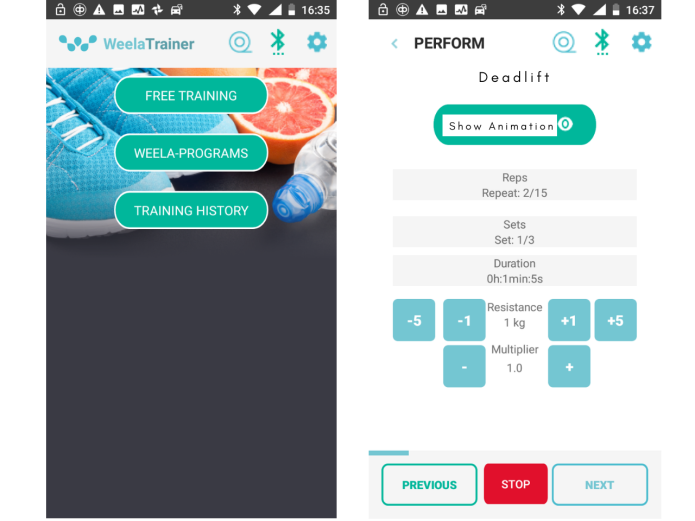 All common gym moves can be performed with Weela! 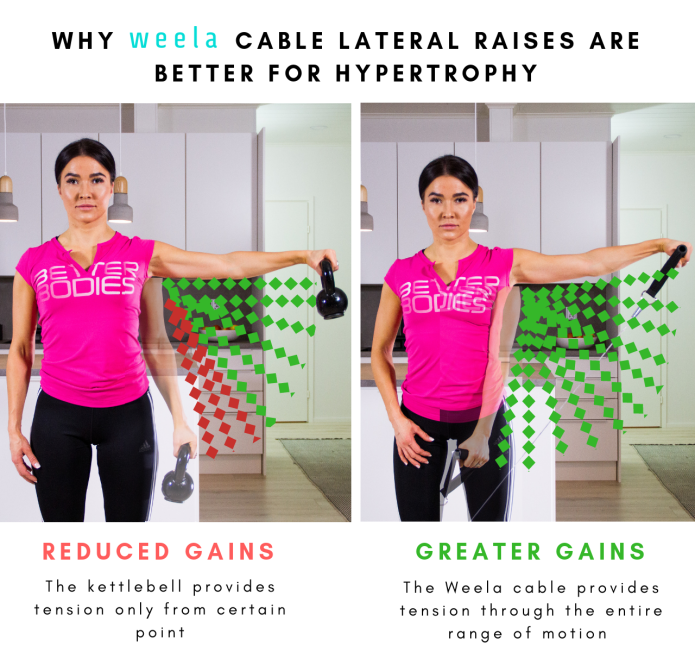 Strength training with Weela is even more effective than with normal weights when you turn on the multiplier for eccentric training. Eccentric training means that the return move which is usually easier and lighter to do and can be up to 2X heavier. Studies show that since most muscles aren’t used to that, strength and muscles grow faster through eccentric training. This is because eccentric muscle contraction is stronger than concentric contraction, which allows you to enlist heavier weights. Not only can it boost your muscle size, eccentric training has many other benefits! It can help increase your metabolism and repair muscle faster. This is what we at Weela want to offer you, an opportunity to reach your goals faster and safer. Weela’s electric resistance is unique, safe and effective. The motion is more stablethroughout the whole pull or twist so the performance is heavier than when done with free weights. Weela has up to maximum 110lbs (50kg) of resistance so it sure works to reach strength building goals for anyone! The idea behind the Weela was born in 2010 when Mauno Kurunlahti (Dr. Med. 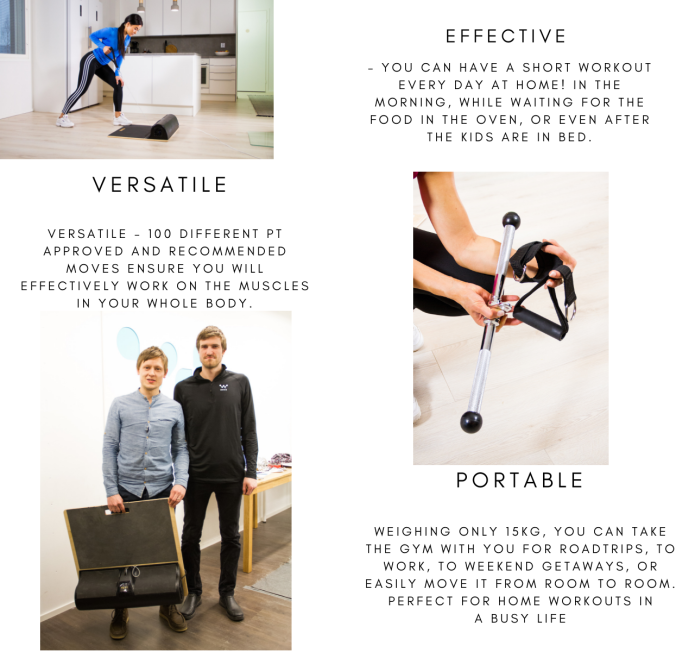 ), Miikka’s (The Founder) father realized he couldn’t find a small sized and multi-functional exercise machine from the markets. Gym training wasn’t for him and he decided to gather a team that could build a machine he wanted. He gathered a team from University of Applied Sciences to develop a machine! A lot of Research and Development work was done and tens of masters theses written during the years. Also Miikka made his masters thesis about the device in the year of 2015. Later at the same year Welapro Ltd. was established. After two years of hard work the first Weela device was successfully introduced to top athletes and fitness professionals in 2017. 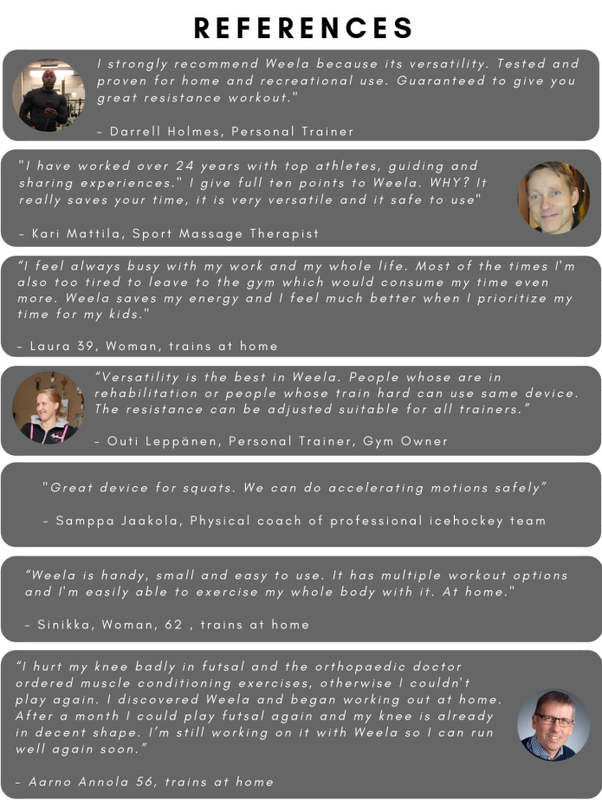 Weela is now tested by over 1000 professionals, appreciated and approved by physiotherapists, personal trainers and other sports professionals in Finland. The Founders understood quite soon that Weela got the highest interest among consumers but the first device was still a bit too complicated and expensive for the consumer segment. They decided to develop improved device for consumers. The new Weela that we are now presenting to the audience is so much better that it has replaced the first device entirely.